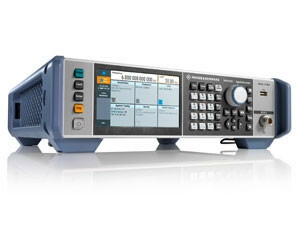 The R&S SMB100B RF signal generator offers performance and versatility in a small footprint. It provides spectral purity and high output power combined with comprehensive functionality and simple operation. These characteristics have been integrated into a compact and lightweight form factor. Even without extra options, the R&S SMB100B delivers high performance, but it can be enhanced for a specific application. For example, the R&S SMBB-B1 option (OCXO) reduces the ageing and temperature dependency of the reference frequency and improves single sideband (SSB) phase noise. The R&S SMBB-B1H high performance OCXO option further improves these performance parameters. Compared to the standard instrument, the ageing and temperature dependency are improved by more than a power of ten. Two optional high-output power levels are available. The base unit alone provides 20 dBm of output power at 1 GHz. The R&S SMBB-K31 high output power option provides 8 dB more output power with 28 dBm. This first ‘high output power’ level can be activated using a keycode directly on the instrument with no added service costs. Additionally, installing the R&S SMBB-B32 ultra-high output power option gives the instrument another 6 dB. 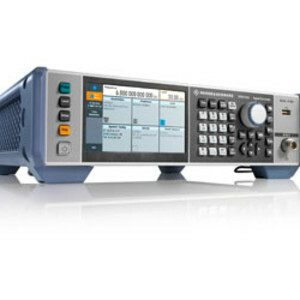 It therefore offers an ultra-high output power of 34 dBm (all values are measured at 1 GHz). The R&S SMB100B is suitable for a wide range of applications in R&D, production, service and maintenance where a good price/performance ratio is also a key factor. I am interested in R&S SMB100B RF signal generator .